Version B showed some different detail-ideas, specially the rear was redesigned. Stutz finally decided to be more conservative, and the rear-design was closer to the original Blackhawk design. More impressive, of course, we are talking of the design for a states-limousine! So the Royale got a more unique rear-design, not a design that was so typical for the 70's. The same design was used for the smaller Diplomatica Sedan, and later it was modified for the remodelling of the Blackhawk, and the renewed version was also used on the IV-Porte / Victoria, even the late Bearcat II used a modified version of the Royale rear-design. 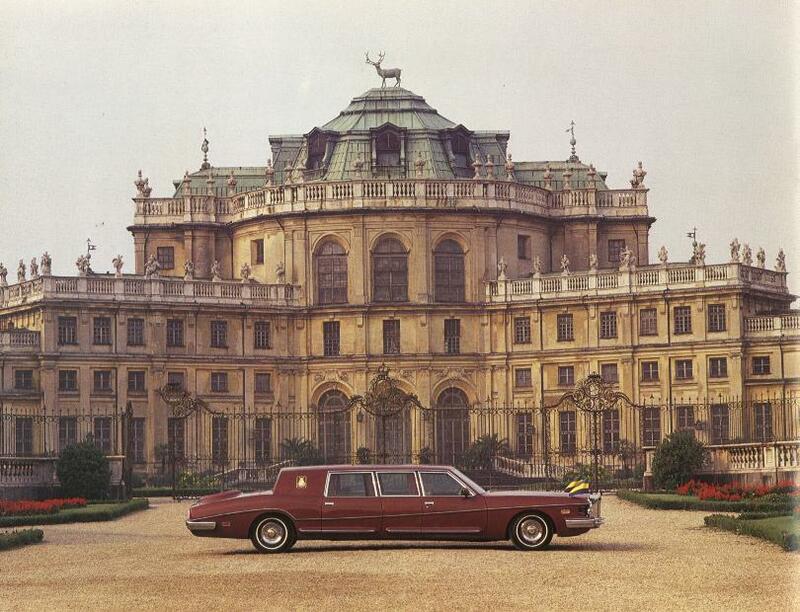 But before Stutz built these ultimate Stretch-Limousines, they built a unique prototype, which showed some different, interesting details, but during all the years, I never saw a photo of this prototype. In June 2007, I got a very special item for my collection, directly from Italy. 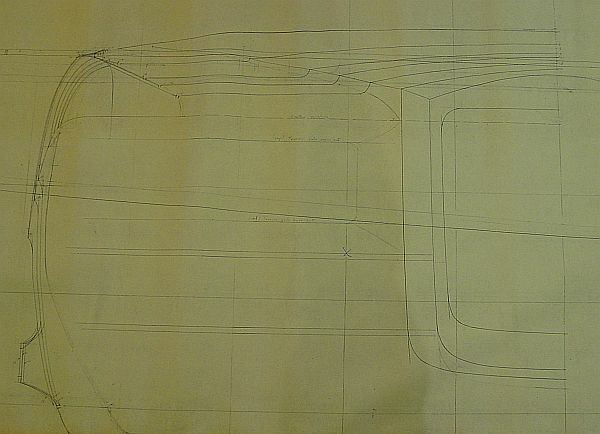 sent me the 1:1 design sketch for the Royale prototype, that was delivered to Saudi Arabia. 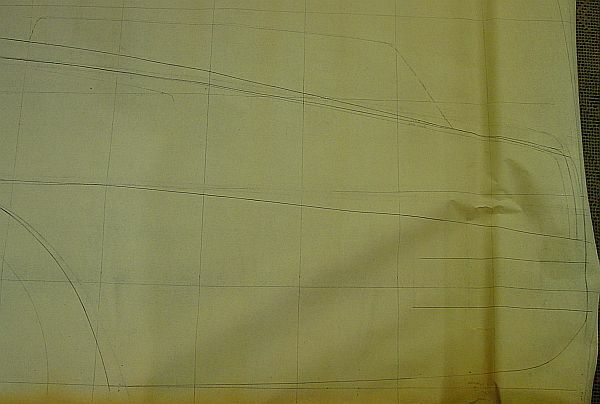 The original sketch messures about 6m x 1.3m! And the rear design, showing no spare wheel, but some sort of a humptrunk, like it was built in 1972. Paolo Martin suggested a rear design, showing again no spare-wheel. This detail was changed. The above picture shows the car at the factory. After the car was delivered, it was returned for changing an important detail. "He had to return the car, because the royal rear end was not allowed to sit on leather. So we made him one out of velour." This photo was taken at Stupinigi, a hunting seat, located near Torino, Italy.